Take a deep breath, because we have a new product out. Yes a new product, no kidding. We have some new boots in leather with 30 different colours. With these boots we also introduce our new HUD system to change the looks of the boots. 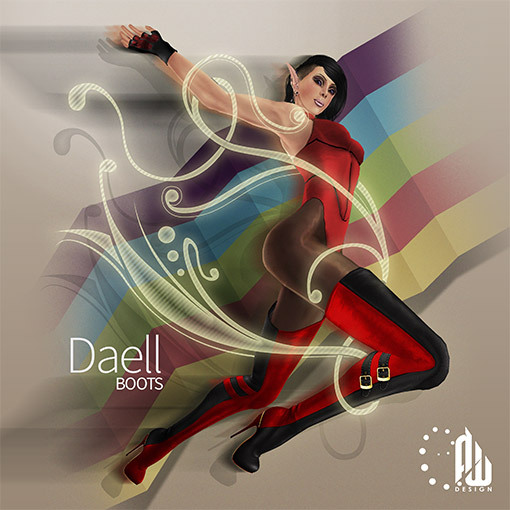 And for the first 24 hours we offer a 20% discount at the main store on these Daell Boots.